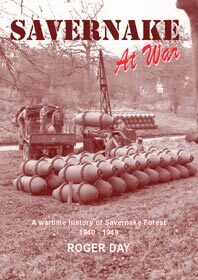 Savernake at War has been reprinted by popular demand and limited numbers are still available. 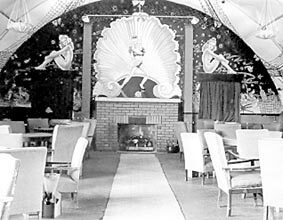 This website is devoted to the village of Ramsbury, it's airfield and the surrounding area during the First and Second World Wars. The ancient village of Ramsbury nestles in the north east corner of Wiltshire beside the clear waters of the River Kennet. For centuries cattle have grazed the lush green water meadows, sheep have wandered on the high downs surrounding the village, and in the fields between man has tilled the soil. 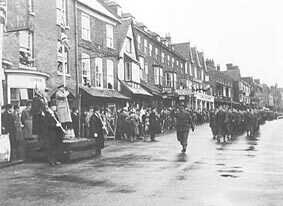 Until as recently as 1986 the main focal point was an old elm tree, which had reputedly stood in the Square for nearly three hundred years. There is however evidence that a community had existed here for more than a thousand years before the tree took root. 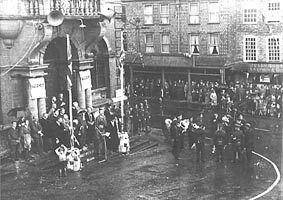 Throughout history the village has sent its share of young sons to fight the nation's wars in far off places; the memorial in the High Street records that 65 local men lost their lives in the 1914-1918 conflict. But this was a quiet, pastoral place, where for the most part, lives were ordered and little excitement ever intruded. 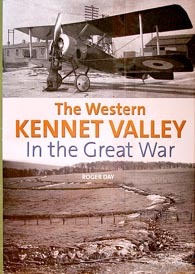 The Industrial Revolution passed Ramsbury by and neither the canal nor railway scarred the village or its surroundings. Even twenty years after the First World War horse drawn vehicles were still an essential part of every day life. The population, over 2,000 at one time, had by the late 1930s dropped to around 1,500. Everybody seemed to know each other's business in this well established, close-knit Wiltshire village. On Sunday, 3rd September 1939, this rural idyll was rudely shattered when people in towns and villages all over the country heard the news which would change the course of their lives. On that day those near a radio heard the Prime Minister, Neville Chamberlain, solemnly announce that Britain was at war with Germany. It was the start of six years of blackouts, rationing, air-raid warnings, of loved ones being sent away and of the intensifying of community spirit which always seems to develop in times of trouble. The arrival of the Americans was for some the only bright spot in an otherwise miserable war. 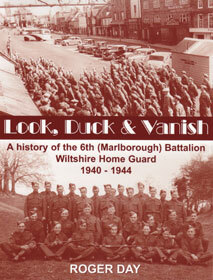 On the following pages, with the help of period photographs, I have tried to show some of the events that occurred in this tiny corner of Britain during that traumatic period.